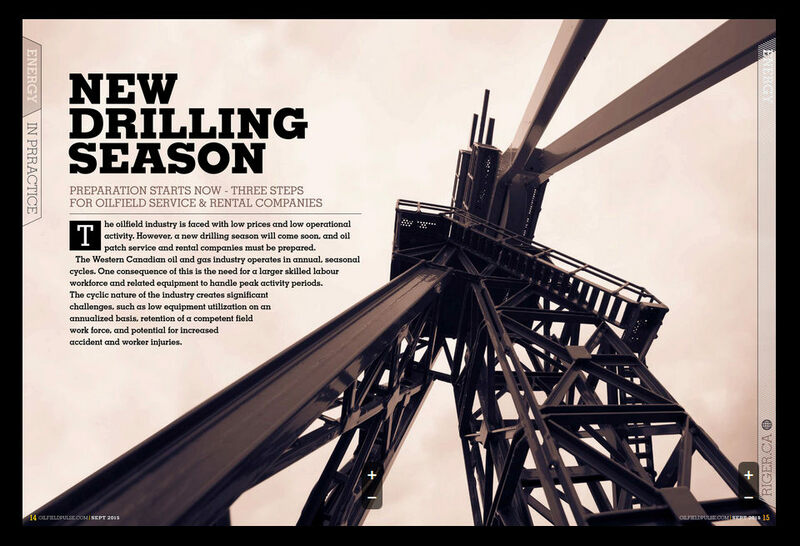 Oilfield PUlSE (September 2015 Issue) published arcticle by Michael Maltsev, RigER CEO about new drilling season preparaion. The oilfield industry faced with low prices and low operational activity. 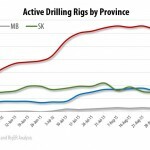 However, new drilling season will come soon and oilpatch service and rental companies must be prepared. The Western Canadian oil and gas industry operates in annual seasonal cycles. A consequence is the need for a large number of skilled labor force and related equipment to handle peak activity periods. The cyclic nature of the industry creates significant challenges, such as low equipment utilization on an annualized basis, retention of a competent field work force, potential for increased accident and worker injuries. 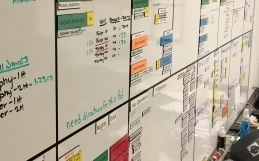 Operations – Internal Business Processes. The oilfield rental units need regular inspection, maintenance, replacement, relocation, recovery and reconditioning of equipment and it is better to do this before the busy season. More over new drilling season preparation is the best time to optimize rental fleet, add new rental units or new type of equipment. The oilfield rental companies have different financial options: cash purchase, lease, or finance new equipment. This year we see rising activity of equipment auctions. Some of the companies consider sell off dormant inventory. Downturn and weak Canadian dollar make the equipment very attractive for US buyers. To be prepared for winter drilling season oilfield service and rental companies should start hiring in September. There are a lot of thing to do in this short period: find qualified candidates, interview them, select potential employees, negotiate, make job offer, hire. Training, certification and staff development ensure that the workforce will continue to develop the skills necessary for successful drilling season (H2S Alive, Standard First Aid, WHMIS, TDG, PST / CSTS). Successful oilfield service and rental companies focus on effective internal communication, teamwork and strong corporate culture as well. The market turn back to employer side and companies have chance to hire best industry talents. It is great time to select candidates and build productive teams. 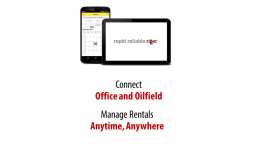 Oilfield equipment rental is a complicated asset management and job tracking process that includes preparation, dispatch, management, control, invoice, analysis. Oilfield service and rental operations business process should be tested and optimized for increasing activity. Unfortunately, due to the onsite deployment of rental units, the management process generally relies on paper forms or standalone computer applications. Paper-based approach is unnecessarily complex, expensive and prone to errors. It also makes it difficult to track the assets and jobs over their lifecycle, identify performance issues, conduct preventive maintenance and manage assets across a customer account. 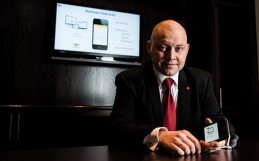 Implementation of operation management software, such as RigER (www.riger.ca), gives the rental company return on its investment while providing both attractive costs and reliability to customers. Do not confuse low activity with failure. 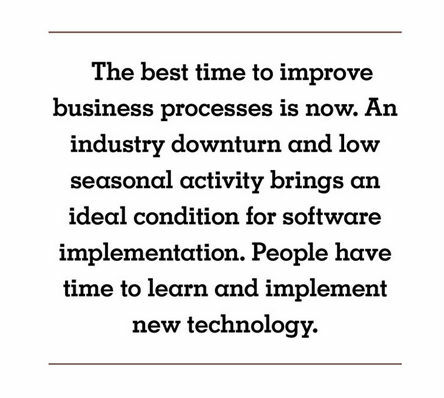 Use this time to make your business stronger: build innovative products, research new technologies, develop relationships with clients, and inspire your team. 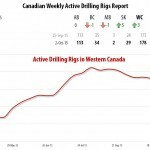 We see that this year drilling season will be much better than previous. So, be prepared and boost your business now! Have a Great Drilling Season! 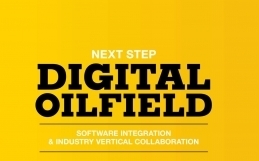 4 Years of Digital Oilfield Innovation!